Look no further for the best Paris chocolate and all the local tips when visit Paris! We have researched, tasted and am now reporting back which are the top 5 best chocolate shops in Paris. This article includes everything you need to know about chocolate shops in Paris and even where to drink the best hot chocolate in Paris. Looking for more local spots in Paris? Make sure you get yourself a copy of our 2019 INSIDR Free Paris Travel Guides! For the best chocolate in the city, if you’re on a stricter budget, go to Chocolaterie Cyril Lignac in the 11th arrondissement. Another plus about this chocolate shop is their amazing hot chocolate! 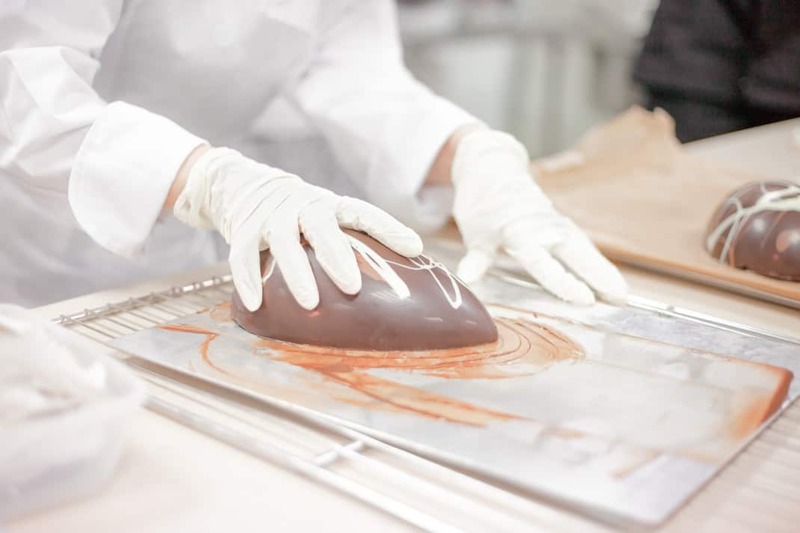 Pralus, the family-run chocolate shop, has been around since 1948. The chocolate shop first began in 1948 by August Pralus, and now is run by his son. Their cocoa plantation is in Madagascar, and delicious! Also, try their breads with chocolate in it- yum yum! The fanciest chocolate, wrapped in turquoise boxes, can be bought at Patrick Roger. Their major shop is on Boulevard Saint Germain, and their treats can be enjoyed at any time of the year, for holidays or no reason at all! Head to Angelina’s Tea Room on rue de Rivoli and prepare to be AMAZED and FULL! The famous chef Alain Ducasse’s chocolate shop is always full of beautiful chocolate creations! However, their bars of chocolate are equally enjoyable and indulgent. Founded in 1995 in Brussels, Pierre Marcolini is one of the best luxury chocolate shops in Paris. Their little black fancy chocolate boxes are always packaged with only the best chocolates for true chocolate lovers.